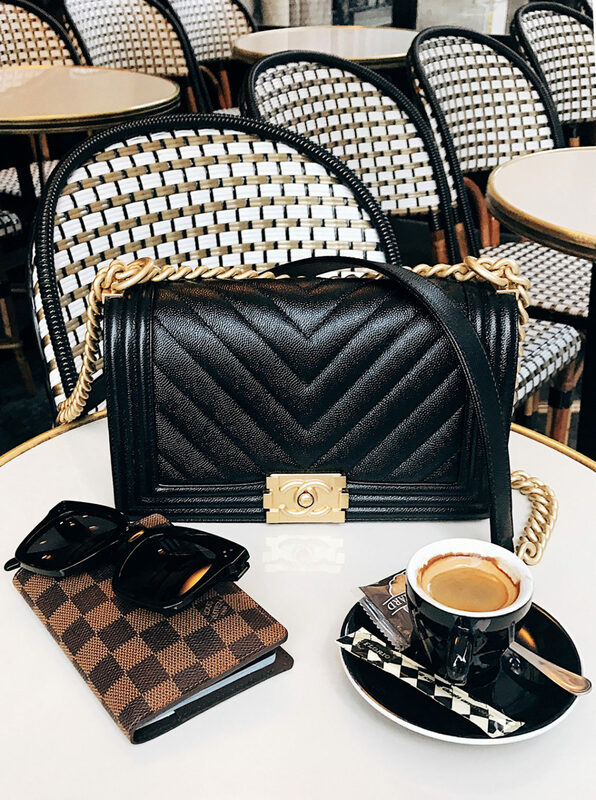 Traveling is one of my absolute favorite things to do, so I definitely have a few tried-and-true travel items. Whether you're looking to update your travel gear, or you have a friend/family member that is always on the go, this gift guide is for you! 1 // I recently "upgraded" from my Rimowa luggage to Calpak. Yes, you read that correct. While I love the look of Rimowa, it just wasn't working for me. I picked up this 2-piece set for under $300, and have already traveled overseas with it. It's definitely my new favorite! 2 // This face mask is essential for longer flights, its incredibly hydrating which is so important while traveling. Under $50! 3 // Again, another new luggage favorite. This backpack is incredibly roomy, protects my laptop and looks chic! Comes in a few colors here. Also like this size/style. Under $100! 4 & 5 // Luggage tags & passport cases are essential, especially when traveling abroad. 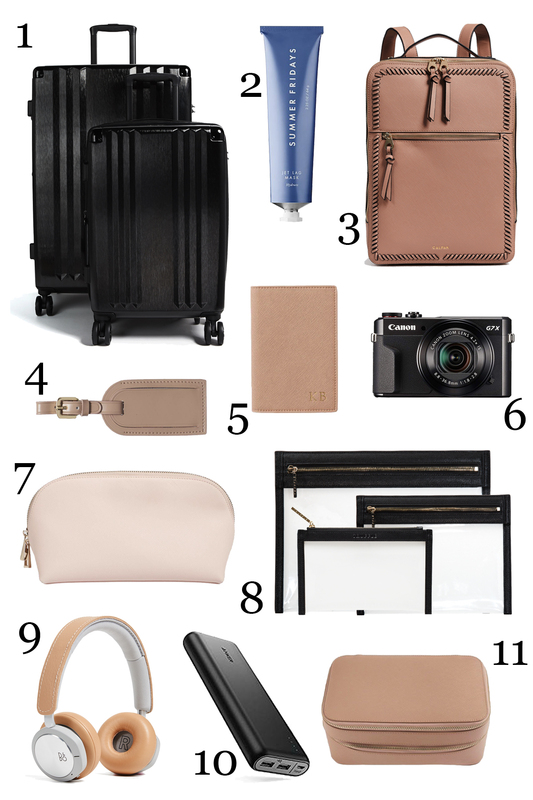 I love all the travel accessories from TDE. So many color/monogram options and great quality! Under $75! 6 // I never leave home without my Canon GX7. You never know when you'll need to capture that perfect picture. It has wifi, so I can easily upload to my phone and publish instantly if needed. It definitely takes better pics than an iPhone! 7 & 11 // I've had this makeup case for over a year now and love it! This travel case is great if you want to store more makeup, beauty products, or jewelry. Both come in a bunch of colors & sizes. 8 // These clear clutches from Truffle have become my new packing/organizing obsession. I seriously never had more fun packing a suitcase. Under $50! 9 // These noise cancelling headphones have the best sound & they are so comfortable. 10 // Since I'm on my phone 24/7 I'm constantly needed an extra charge. This portable charger has been a life saver. It stays charged for what seems like weeks, and will charge my phone almost 7 times as fast as a regular charger. I never travel without it! It also comes in white and is Under $50! More travel posts here & here.